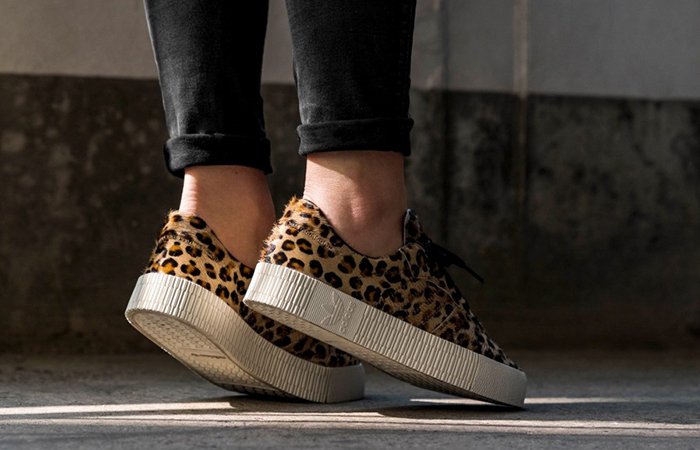 adidas Sambarose Leopard has come a long way from its football sneaker heritage and has been given a modern twist. For almost 70 years the global brand with the Three Stripes has existed. The main driving force in their work as we know it is the further development of their product range and maximum performance. Meanwhile, second to none comes adidas that can draw on a product history. Being the largest and still most relevant sporting manufacturers in the world, they know how they should market new items in particular. Thanks to modern techniques, own developments from the last decades inspired them. Turning the sneaker scene on its head was always the playbook of adidas. Whether with the Yeezy series by Kanye West or with Run DMC in the 80s, it’s doing its best for the best by being true to its motto. Here’s what you need to know about this new product by them to the market where people still think relevancy is still a thing. An allover leopard print on the body, a soft touch was introduced by the 3-Stripe brand, Classic silhouette with the furry texture. With etched detailing along the centre and the back of the shoes guaranteed long-lasting comfort from the exaggerated 3cm rubber sole which provides added height keeping with the Sambarose style, it completes the design. So what’re you waiting for? adidas always make their move and do all the thinking for you so just head over to the retailers and get a pair but before that why not give us a follow here for all new daily updates on products like these that are either releasing soon or in stock with every bit of information you need to know @FastSoleUK. 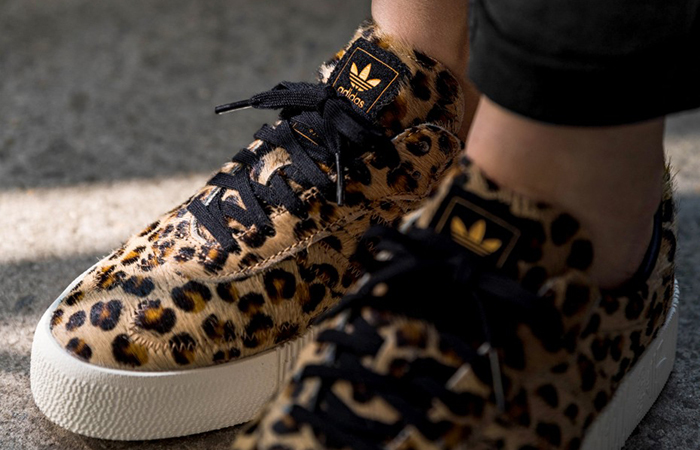 adidas Sambarose Leopard is a fantastic sneaker that deserves to be added to the collection of your rack, and it’s arriving on April 14th via listed UK and European retailers.